Beautiful Garden Home located in desirable Laurel Creek. 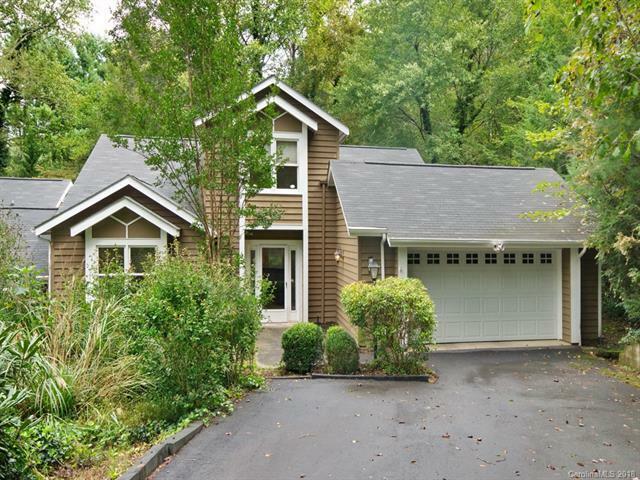 Close to downtown AVL, Blue Ridge Parkway, schools and I-40. Exterior Maintenance, mowing and gutters cleaned included in HOA dues. Clubhouse, pool and tennis courts in complex. Home is move in ready with 2 bedrooms on the main level. Loft on 2nd floor. Lovely sun porch overlooks green space. Unit recently painted. Wooden blinds and appliances convey. This quiet, peaceful home is ready for a lucky buyer.